A. There are four separate movie posters on the wall. B. 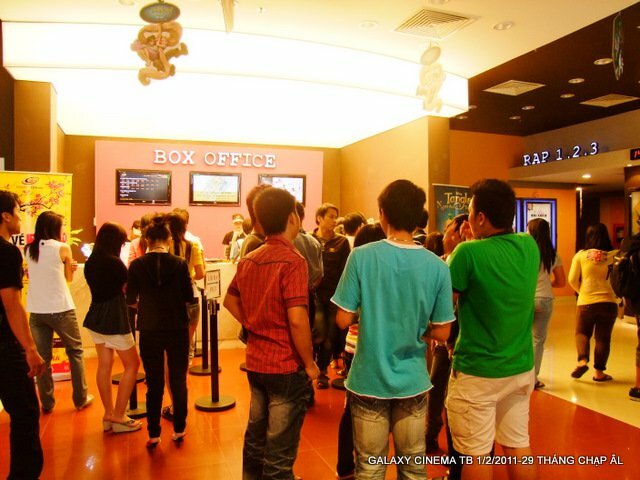 The film description is read to the moviegoers. C. The pedestrians are being entertained. D. The fans are continuing to buy tickets.